ULISSE RADICAL THERMAL is the first Videotec ready-to-use thermal PTZ camera system that integrates exceptional factory-assembled combinations of lens and thermal camera for unsurpassed intrusion detection and visual awareness in total darkness or extreme environmental conditions. The lens system features a continuous zoom up to 24x and an amazing AUTO FOCUS that allow quick and effective focus on targets while retaining flawless images. ULISSE RADICAL THERMAL is provided with Analogue control or IP, certified ONVIF Profile S, and is compatible with most VMS on the market. The Videotec's PTZ ASSISTANT plug-in software supports any VMS with the control of all special functions such as the Auto Focus. Depending on temperature, the contrast of a scene can be adjusted dynamically by the ACE (Active Contrast Enhancement) function, while the Digital Detail Enhancement (DDE) allows more detailed and crisp images. The STR (Spot Temperature Reading) function detects the temperature reading of a specific point of the monitored scene. 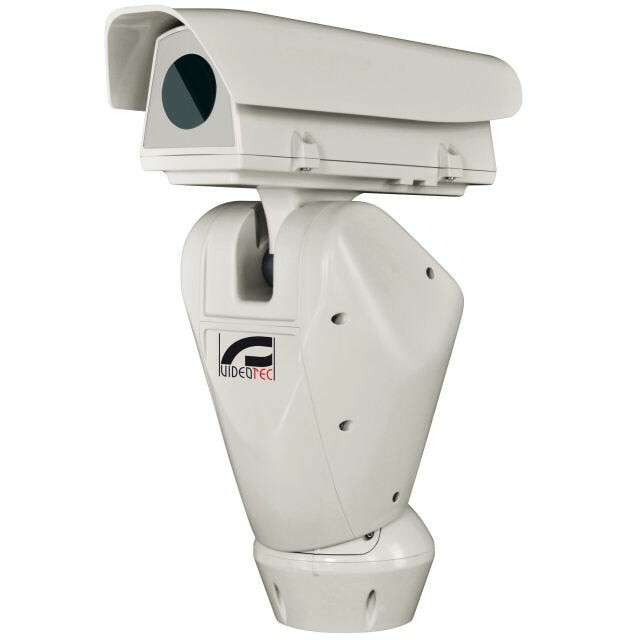 Due to its accuracy, reliability and robustness, this thermal PTZ camera is the ideal solution for the visual control of demanding outdoor areas, such as: fire detection, military installations, border patrol, harbour surveillance, perimeter surveillance, traffic, railways and highways control and industrial monitoring.